When it’s time to sell your gold or silver investment, getting the right price is crucial. Whether you’ve invested in gold or looking to sell some old family gold, it is important to carefully choose the right dealer to sell your gold to. Gold and silver prices fluctuate from time to time based on different factors. There are several local dealers and online stores where you can sell your gold. Choosing the best platform to trade at fair prices will ensure good returns on your money. Make sure you follow these simple steps to get the best gold price and a good return on your gold investments. Even before you get excited on the returns from your gold and silver, you need to determine the exact value of your precious metals. What amount of gold and silver do you have for sale? The value of your gold and silver is determined by its weight, purity, and condition. These factors all affect the price. However, for those selling gold and silver coins, the conditions of these coins don’t have any effect on the price. If the coins are dirty, don’t attempt to clean them. Cleaning gold and silver coins may lead to more damage which will affect their prices. Do some research and see if the coins have any additional value apart from the melt value. There are coins with historical significance that might fetch higher values. If you don’t know how to research the value of your gold and silver, seek help from a specialist. You can seek advice from local shops to get a base value for your gold and silver. This will give you an estimate to work with when getting online bids. You need to sort out your precious metals into categories to make the best value estimate. Don’t just sell your precious metals in clutter. Instead, separate the silver and gold. Look for the stamps on the gold to see if they are pure gold or just plated. What is the fair price for your gold or silver? This is a common question that every person selling gold and silver will ask before making a sale. You’re better placed to know the fair price since you already know the weight, condition, and purity of your metals. The prices of gold and silver are measured in troy ounces. A troy ounce is equal to 31.1035 grams. It is worth noting that these prices change on a daily basis depending on the market forces. You need to know the current price to make a better estimate. We have the spot price which is the cost of delivery of the physical gold. This is the price on the market in two days from the date the trade was made. Some dealers usually offer sellers slightly lower amounts than what they sell to make a profit on their deals. You don’t have to sell your gold and silver to the first buyer you meet. You need to shop around for prices to get the best deal possible. Compare the online stores' prices to the local metal dealer prices. However, there are better chances of getting higher prices on online stores than local stores. Most online stores can afford to take a lower premium giving sellers better prices. Online stores also help you sell your gold and silver from the convenience of your home. However, when selling these precious metals online, be sure to check with Better Consumer Reviews and customer reviews for authenticity. You need to be sure you’re selling to a genuine dealer when making online deals. Gold for cash scams are common in most pawn stores where vendors try every possible trick to undervalue your gold. Most of these dealers will not tell you the exact value of your gold or the fair prices on the market. They usually entice customers with instant cash upon selling your metals to attract desperate sellers. When you finally have a dealer to sell your gold to, be sure to read the fine print. Review the buyer’s terms and conditions carefully before making a sale. Most people make a mistake of selling without reading the terms and conditions. This is common, especially when dealing with genuine dealers. Reading the final details will help you avoid any costly mistakes later. What are the buyer’s policies if they lose your gold? Do you pay for the shipping costs? What about the return shipping rates in case you change your mind? These fine details will ensure your selling process is smooth without any problems. You don’t have to take anything for granted. Ask for the buyer’s credentials to prove that they are licensed by the relevant authorities to engage in gold buying and selling. There are a few red alerts you need to check out. The buyer needs to request for your government issued ID or a valid driving license. If there are buyers not asking for these details, then keep off! Lastly, you need to remain safe throughout the transaction process. You don’t want to alert people that you’ve made a big gold or silver sale. Buying or selling online is highly recommended since it keeps you safe from theft and burglary. When investing in precious metal or selling, you don’t have to reveal to anyone as this keeps you at risk of theft. 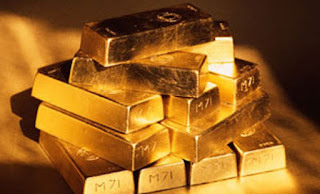 Gold selling is a lucrative business when done in the right way. You need to know the right time to sell your gold and silver when prices are high. You also need to sell to genuine dealers with all the necessary credentials to avoid being scammed. With our simple steps shared, you can easily sell your precious metal at the prices possible and in a safe way.